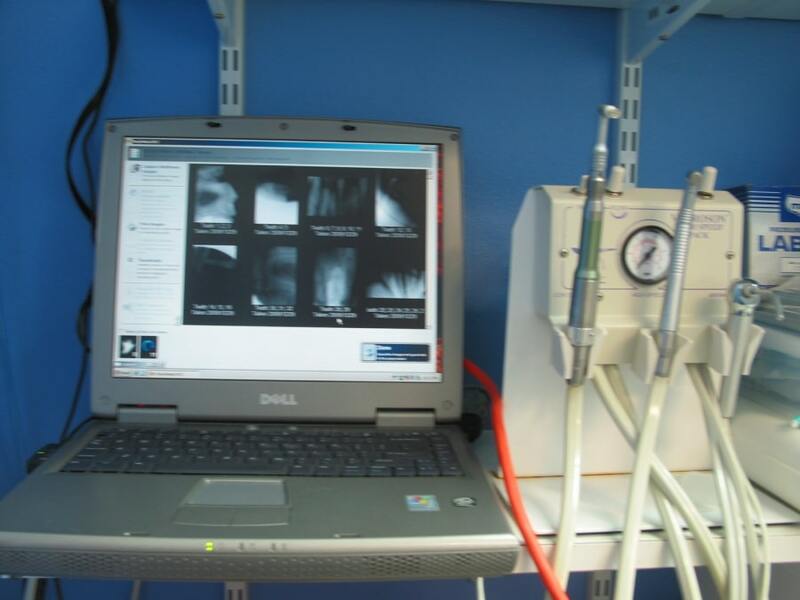 Our Dental Services, Including Digital Dental X-ray! At Arbor Ridge Pet Clinic, we provide not only dental consultations, but also advice on dental prophyllaxis. Dental prophyllaxis, means things that you can do at home with your pet to help keep their teeth and gums clean and healthy. We can also provide full dental cleanings. This requires your pet to undergo anesthesia, as they will not sit still for a thorough and professional cleaning. 1.) pre-operative blood work to make sure that it is safe for your pet to undergo anesthesia and to look for any underlying diseases. 2.) Intravenous Catheter and IV fluids during the procedure to keep your animal's hydration, blood pressure and temperature (through IV Warmed fluids) normal throughout the dental procedure. 3.) Pain Control for extractions or oral surgeries. This is in the form of injectable analgesics and local pain control injections to control pain in your pet. 4.) Digital Dental X-rays these are done prior to any dental work and after any dental work to ensure that the work or extractions are complete. 5.) 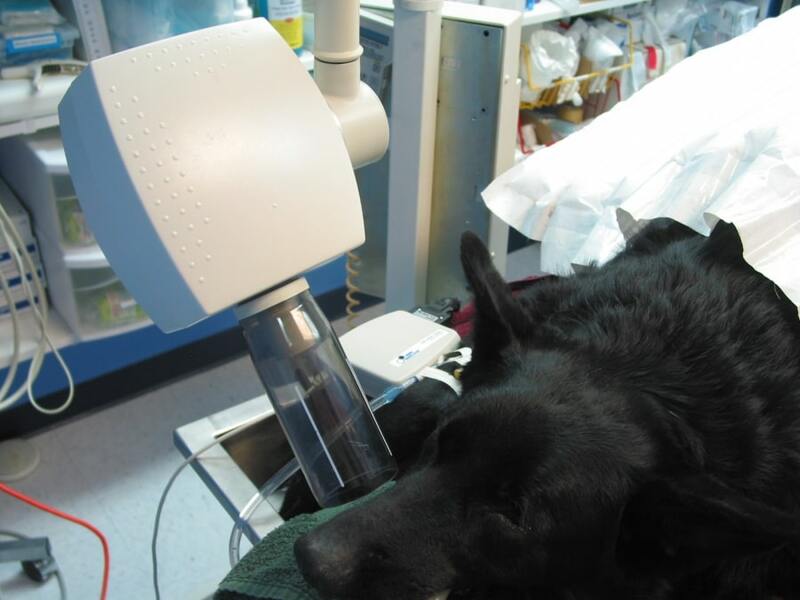 Thermal Support this is given in the form of a forced warmed air blanket and a warm water blanket as well as warmed IV fluids and an IV warmer to keep your pet's temperature at optimal levels throughout the dental procedure. 6.) Complete Dental Cleaning - This includes cleaning and scaling the teeth with an ultrasonic scaler BOTH above and below (gingival sulcus) the gumline. Then this is followed by a thorough gingival sulcus measuring to ensure no pockets exist. The tooth is then rinsed and polished and then rinsed again. The last step is placing a thin protective sealant called Ora-vet to protect the teeth. This can be replaced once a week at home to try to prevent new dental disease. 7.) Extractions and Oral Surgery. This entails extracting bad, broken or dead teeth, ensuring no root is left behind. The socket is closed by placing sterile products like VetSpon, Consil and Clindoral to facilitate healing and an anti-microbial absorbable suture to close the defect. The owner receives a call post anesthesia recovery and develops a plan with the veterinarian on ways to prevent new tartar and calculus from forming in the future. Please contact us with any further questions or concerns.